This is one stop on my global KBBQ journey. Kang Hodong Baekjeong succeeds in delivering tasty KBBQ to the people of the Philippines. I would go again. 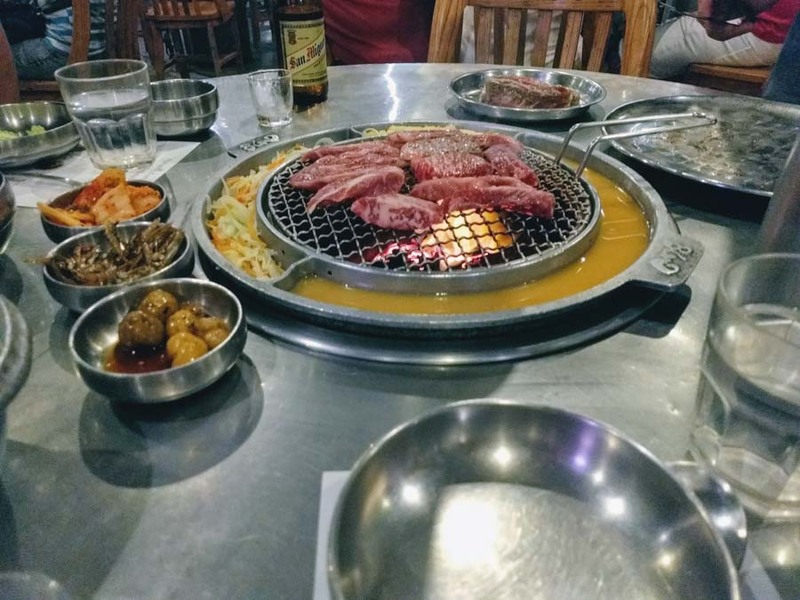 I haven’t wrote a post yet on my favorite KBBQ spot in my hometown of Los Angeles, but it’s Kang Hodong Baekjeong! It happens to also be a small KBBQ chain around the world. I’ve visited the affiliated restaurants in Sydney, Tokyo and now Manila. It’s a weird goal, but I want to visit all of their restaurants in the world. A very achievable goal. My favorite is the LA branch and then the next best thing would be Manila. “Strictly No Smoking Until 12 Midnight” …then it gets nuts! Manila had the same seasoning and great service (the cook the KBBQ for you) but the quality of meat wasn’t as high as the meat they serve in the LA branch. I’ll try to write a post on the LA branch soon, it’s just difficult to find the right words to describe the amazing experience. If you ever get the chance to go to Kang Hodong Baekjeong (KHD) KBBQ restaurant, get the beef combo with marinated short rib. You’ll be happy you did.